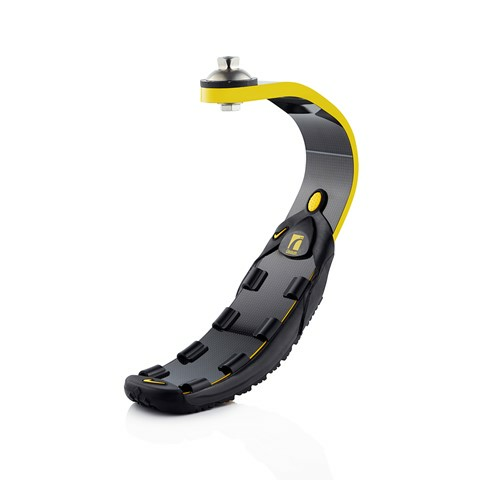 The Flex-Run with Nike Sole offers unmatched performance and efficiency for amputees and prosthetists. Össur and Nike have partnered to design the ideal running foot from the ground up, leveraging Össur’s unmatched expertise in running prosthetics with Nike’s world renowned traction and sole technologies. The improved Flex-Run features a longer toe lever and efficient energy return. The Nike Sole offers great traction to help improve performance for the runner while improving efficiency and results for the prosthetist. Flex-Run with Nike Sole is appropriate for Transfemoral and Transtibial users participating in high impact activities such as recreational jogging, trail running, distance running and triathlons. It is available in both Standard and Junior (LP) models. For information on special or custom orders, please contact your local Össur representative.